Reigning champion Mary Keitany is to return to the Virgin Money London Marathon on April 22 with her eye on another world record. Last year the three-time London Marathon winner clocked 2:17:01 to smash the women-only marathon world record of 2:17:42 which had been set by Paula Radcliffe in London in 2005. This time, organisers have announced that Keitany is to run with male pacemakers as she targets the overall women’s world record of 2:15:25 set by Radcliffe in London in 2003. “The marathon world record is something that I have been working towards for several years and I feel I am now in the position where I can really attack the time of 2:15:25,” said Keitany. “At last year’s Virgin Money London Marathon, I was feeling good but it was hard to run nearly half the race on my own. By having male pacemakers, I will be able to have the support throughout the race. During her win in London last year, Keitany clocked 66:54 for the the fastest ever women’s half-marathon split in a marathon, but her pace began to slow slightly as her pacemaker fell away. Hugh Brasher, London Marathon event director, said: “Paula Radcliffe’s world record at the 2003 London Marathon was one of the greatest sporting achievements ever seen, and we are hugely excited to learn that Mary feels in a position to challenge that run. As well as going up against the clock, Keitany will also take on the already-announced Tirunesh Dibaba in London, while world champion Rose Chelimo also forms part of the elite women’s field. 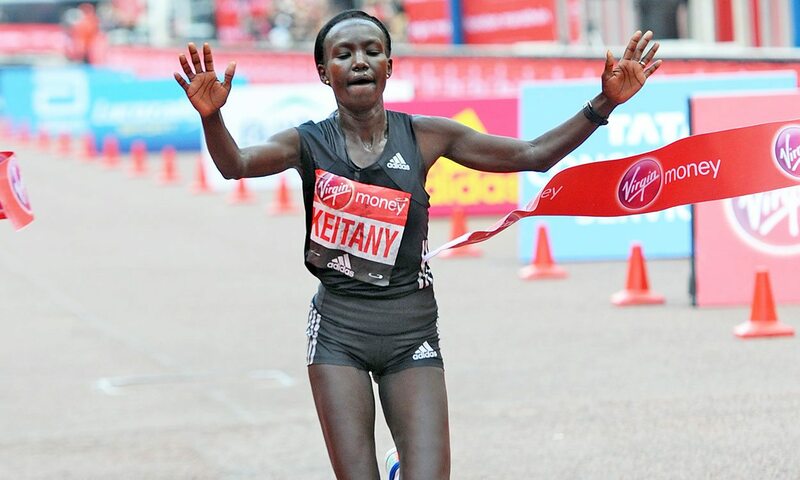 The announcement of Keitany for the London Marathon comes on the final day of the event’s ‘Elite Week’, with full elite fields also having been announced. The elite men’s entry list is here, while the women’s is here and the elite wheelchair & World Para Athletics fields are here. This evening, at 18:00 GMT, the Virgin Money London Marathon will host a Facebook Live show featuring former British distance running international Tim Hutchings, the Virgin Money London Marathon elite field co-ordinator and former world 10,000m record holder Dave Bedford and AW’s web editor Jess Whittington.